Do-it-yourself fruit snacks, jerky and dried herbs, made easy. 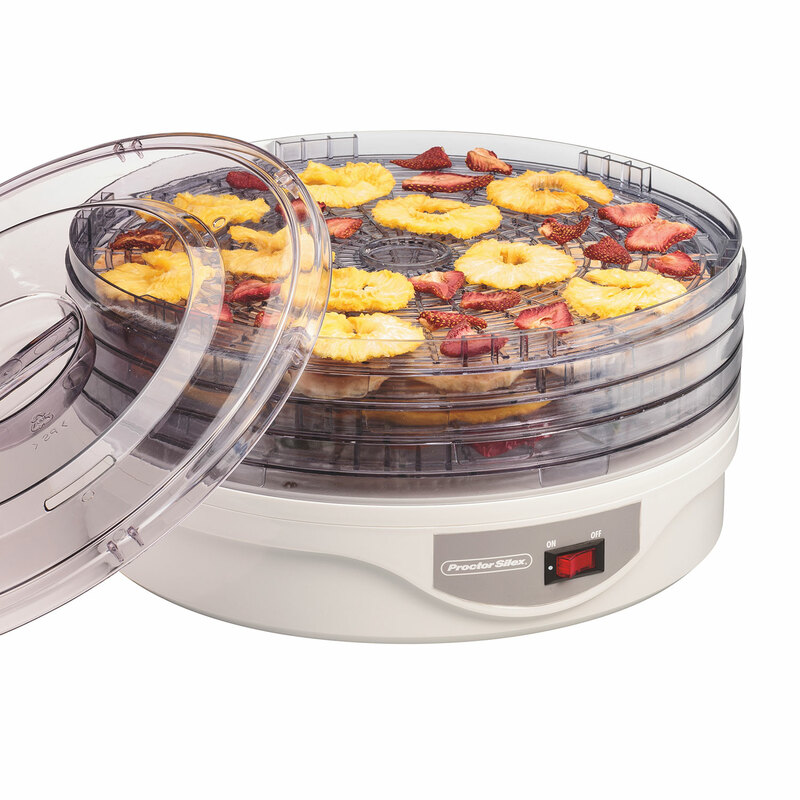 Whether you want to try your hand at homemade beef jerky or create healthy treats like banana chips for the kids, a Proctor Silex® Food Dehydrator is the perfect appliance to transform meats, fruits and vegetables into dehydrated snacks. BPA-free and dishwasher-safe drying trays stack together and adjust so you can create a small servings for one or large batches to share.